Mary A. De Vries was the recipient of the Outstanding Journalism Award from the Numerical Control Society from 1966 to 1974. 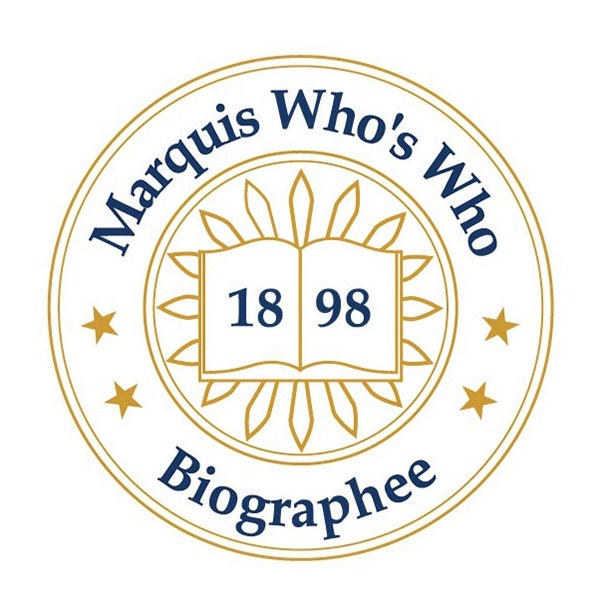 COTTONWOOD, AZ, March 22, 2019 — Marquis Who's Who, the world's premier publisher of biographical profiles, is proud to present Mary A. De Vries with the Albert Nelson Marquis Lifetime Achievement Award. An accomplished listee, Ms. De Vries celebrates many years of experience in her professional network, and has been noted for achievements, leadership qualities, and the credentials and successes she has accrued in her field. As in all Marquis Who's Who biographical volumes, individuals profiled are selected on the basis of current reference value. Factors such as position, noteworthy accomplishments, visibility, and prominence in a field are all taken into account during the selection process. With more than 40 years of professional experience, Ms. De Vries was active as a writer from 1960 to 2000. In addition to this primary role, she was a freelance editor from 1960 to 1985 and also served as editor of the Numerical Control Journal and the Numerical Control Scene from 1965 to 1975. Earlier in her career, Ms. De Vries was a graduate teaching assistant with the University of Colorado from 1959 to 1960 and an editorial assistant with National Geographic Magazine from 1957 to 1958. Throughout her career, she also served in various management positions, including owner and manager of Editorial Services from 1960 to 2000 and president and manager of Sawmill Cove Townhomes from 2009 to 2017. Prior to embarking on her career, Ms. De Vries pursued an education at The George Washington University in Washington, D.C. Earning an Associate of Arts in 1957, she continued her studies at the university and obtained a Bachelor of Arts in 1959. Following these accomplishments, Ms. De Vries joined the University of Colorado, where she completed postgraduate coursework from 1959 to 1960. A respected voice in her areas of expertise, Ms. De Vries has been an active leader in her community as well. She has been affiliated with the AARP, People for the Ethical Treatment of Animals, the American Society for the Prevention of Cruelty to Animals, the Humane Society of the United States, the Authors Guild and Alpha Phi. Throughout her career, she has been recognized for her contributions, receiving awards and accolades for her achievements. Recipient of the Outstanding Journalism Award from the Numerical Control Society from 1966 to 1974, Ms. De Vries has also been featured in numerous honors publications including Who's Who in the West. In recognition of outstanding contributions to her profession and the Marquis Who's Who community, Ms. De Vries has been featured on the Albert Nelson Marquis Lifetime Achievement website. Please visit www.ltachievers.com for more information about this honor.